Whether it is a Holiday, Anniversary, Wedding or Birthday or Any Event; Best Bartenders and Wait Staff will take care of your needs. Wait Staff let me enjoy my party! We had 2 wonderful wait staff, Melinda Baker and David Moore, who came for the second year in a row to help with our Christmas party. They did not stop from 6:30-10:30 and kept the food coming and cleaned up as the evening went along. I could not have been more pleased with them. Their attitude was fantastic and they chatted with people standing in the kitchen while working away! I will definitely be calling on them again next year. LaShonda was also very helpful, checking in periodically during the few weeks leading up to the event. She even stopped by on Saturday afternoon to meet us before the party. Thanks to Best Bartenders and Wait Staff for another successful party! I had a great time and didn't have to be cooking all evening!! Best Bartenders and Wait Staff is the place to go for all of your event needs. We use our expertise and experience to take care you and your guest. We have experienced and certified bartenders, wait staff and servers for any event to fit your needs and budget. We give a FREE 15 minute consultation to help guide you to a successful event . Are you planning to organize a party at your home, office, backyard? Are you having a get together for the Holidays? Is it your birthday or wedding soon and you need someone to prepare cocktails and drinks or provide wait staff service at your party? Do you need a bartender to serve at your party? 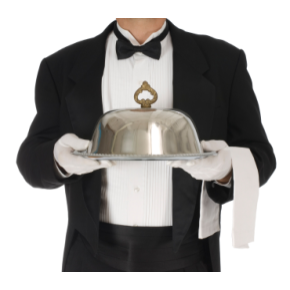 Do you need wait staff to man the buffet and attend to your guest? PROFESSIONAL SERVICE BETTER THAN THE REST!! ALL OF OUR STAFF ARE CERTIFIED AND LICENSED!! Have the perfect bar or the perfect wait staff for the perfect party. No more empty cups no more running out of ice. Experienced in serving 5 to 500 plus we bring our own bar tools. LET US DO THE WORK AND YOU DO THE PARTYING!! !